Create your own at-home spa experience. In today’s busy, modern world, it is hard to find a moment to breathe – let alone balance everything and get yourself to a spa. Especially at this time of year as we brace ourselves for another holiday season and the unavoidable chaos that ensues, our wellness routines and any ‘me time’ are put on hold to accommodate shorter days and longer to-do lists. The best gift you can give to yourself this Winter season may be space and time to retreat and unwind. Personal pampering has many stress-relieving benefits and should be incorporated as part of a lower stress lifestyle. Relaxing your body leads to a relaxed mind. We have a solution. First of all, it is imperative to make some ‘me time’ – even if it’s just an hour. And if you can’t make time or don’t have the budget for a dreamy spa getaway do not fret - simply bring the spa to you. Try to create this at home spa experience on a regular basis - once a week or twice a month. With repetition, you may see your spa time making a significant impact on your overall stress levels. 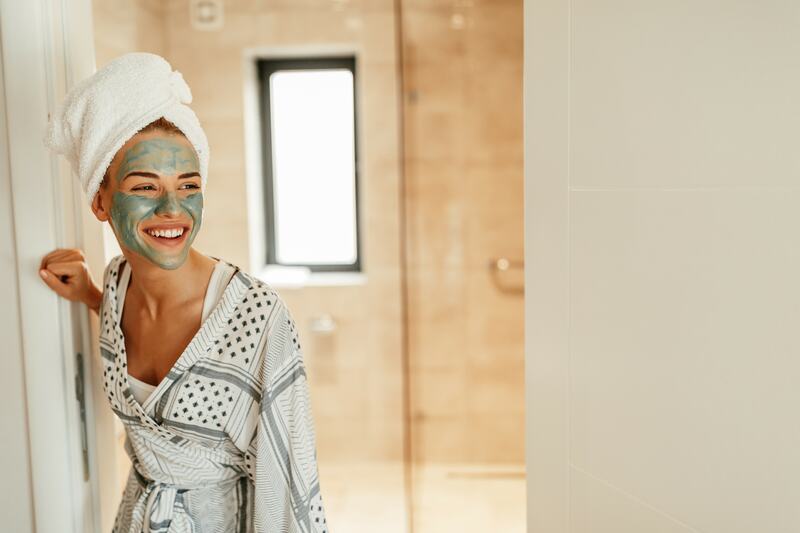 Perhaps the most important part of the at-home spa experience is ensuring you have some uninterrupted time just for you. You will inevitably feel more tense if you have to hop out of the tub to intervene in a toddler-related catastrophe or answer the phone to your mother-in-law. It is essential to make arrangements for some uninterrupted tranquillity. If you have been looking for a simple way to take better care of yourself – both your body and mind – we urge you to give baths a try. First of all, create the space. Whether this is in your bathroom or in your bedroom/secret hideout post-bath, create a tranquil environment for yourself. Use candles, incense, low lighting, calming music and even some Tisserand essential oils for some aromatherapy. feels so luxurious and rejuvenating is because all five senses are being engaged. 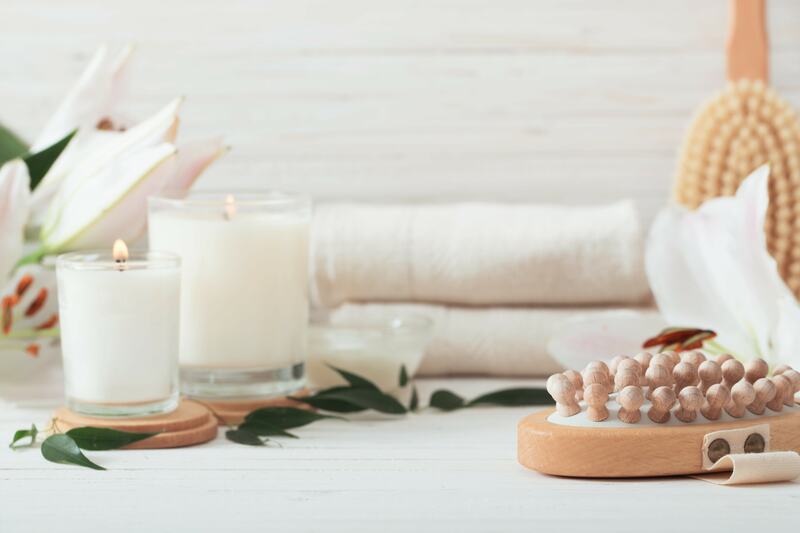 So, when setting up your spa session at home, try to incorporate elements that are pleasing to your sense of sight, smell, taste, touch and hearing. Use candles, soothing music, low lighting, a fluffy robe, a glass of iced cucumber water – these little things can make even the most mundane beauty rituals feel more indulgent. Next stop: The Tub. Choose the temperature that feels right for you and be sure to have an ice-cold glass of water on hand as it is easy to get light-headed going from hot to cold and vice versa. Add a cup of Epsom salts or some essential oils such as Tisserand Lavender Oil for some soothing aromatherapy. Bubbles optional (but highly recommended). Light your favourite candle, Heart & Home and Landon Tyler have some amazing relaxing scents in their ranges. Grab your iced water and a book, step in and feel the world melt away. Exfoliate using your favourite scrub, concentrating on your knees, elbows and feet. This is also the perfect time to apply a face mask. Try a clay mask to draw out any impurities, detox and brighten the skin and then follow with a moisturising mask to add back some hydration. The steam from the tub works wonders to increase the effectiveness of the mask. Try the L’oreal Sugar Scrubs and Pure Clay Masks or Garnier’s Skin Active Masks. Soak some cotton towels in hot water and wring them out until they’re just slightly damp. Use these to clean your face and wipe off your mask, just like the professionals do at the spa. Dreamy. While you’re masking, you might as well use the time to pop in a hair conditioning treatment. L’Oreal Elvive’s Dream Lengths Heat Hair Mask is always a crowd pleaser and leaves your hair feeling soft, hydrated and luxurious. Post-soak, pat yourself dry and apply a super rich moisturiser to lock back in all that hydration. Try an Aveeno moisturiser such as the Skin Relief Moisturising Lotion with Shea Butter (if you have to immediately get dressed and go back into full-speed-ahead mode then perhaps a lighter one such as the Aveeno Daily Moisturising Lotion would be more suitable). If you have time - sit, wrap yourself in a robe or fluffy pajamas and just BE. Feel your body getting calmer and soothed. Give your toenails a splash of red nail polish and – literally – put your best foot forward. If you don’t have time for a full bath soak, which - let’s be real - many of us don’t in our daily lives, you can still bring elements of the spa to your shower routine. Start by changing the temperature of the water. Switching from hot to cold is good for the skin and helps improve blood flow (think: at home spa plunge pool). Always end your shower with 3-5 minutes of neutral temperature water to bring your body temperature back to normal. In the shower, before you turn on the water, grab a body brush and brush in short, circular strokes, moving upward towards the direction of your heart. This exfoliates, improves circulation and helps skin appear smoother. When you step out, seal all that goodness in with a luxurious feeling body oil. The Nuxe Huile Prodigieuse smells amazing and sinks in quickly for a luminous, healthy finish. After your pampering session, stay in that relaxed zone and enjoy the last precious moments of your pamper session. Sit in your fluffy dressing gown and slippers and make yourself a cup of your favourite tea. 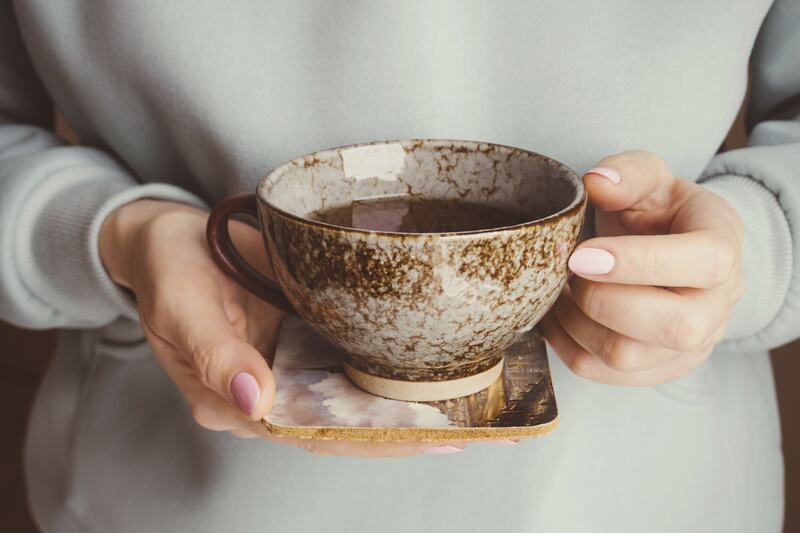 If you want to avoid caffeine, try a herbal tea – Roobios and Vanilla is a great combination pre-bedtime to keep your body in a relaxed state to drift right off. *All home spa products mentioned in this article can be found in selected CarePlus Pharmacies.